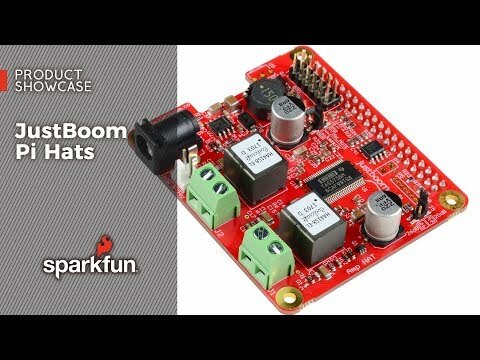 The JustBoom Amp HAT is a high-quality audio amplifier designed specifically for the Raspberry Pi. Digital-to-analog conversion is also included with the Amp HAT, so no external sound cards or DACs are required. Simply stack the plug-and-play add-on board (HAT) onto your Raspberry Pi A+, B+, 2B or the new 3B, and it will be ready to use immediately. Note: To power this HAT you will need to pick up the Global Power Supply or possess one capable of powering the HAT.